Copenhagen Botanical Gardens cover a large area near to Rosenborg Castle. The gardens house the largest collection of living plants in Denmark. 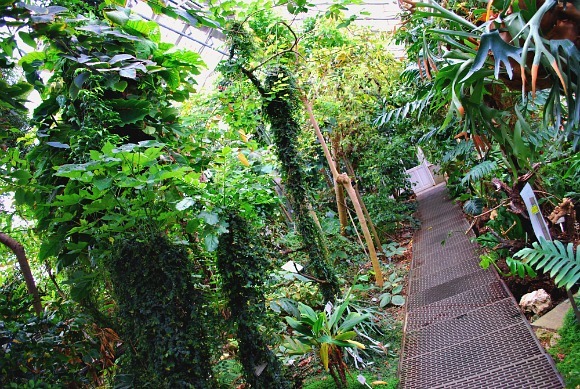 Don’t miss the huge glass greenhouse with exotic and tropical plants and trees and even a butterfly house. There’s a large lake here and a rock garden to explore. Also on the site is a large collection of dried plants and a library with Denmark’s largest collection of Botanical literature. We enjoyed the large glasshouse in particular. You feel like you’re in the sweltering heat of some kind of jungle when you’re inside and climbing up the staircases is a real experience. Looking down from the top, you get to see a totally different view of the larger plants that are happily growing there – some of the leaves even cover parts of the walkway and you have to duck to get underneath. Be careful climbing the steps though as they do get slippery as the warm air condenses on them. The Botanical gardens, Botanisk Have in Danish, open every day at 8.30am and close at 6pm in the summer and 4pm in the winter. Admission is free. 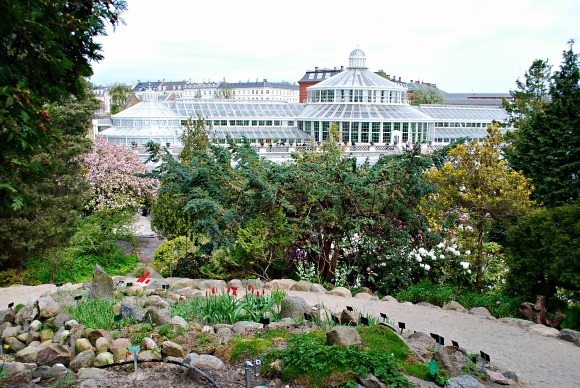 The gardens are operated by the University of Copenhagen. 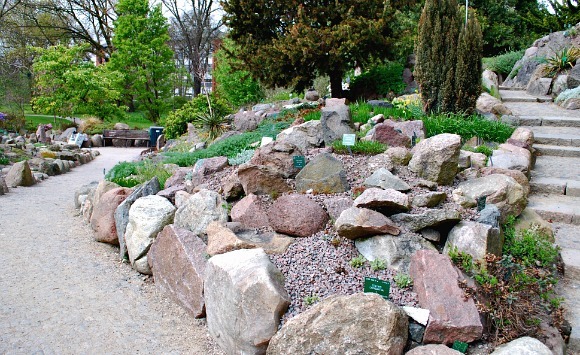 The Botanical Gardens are near Rosenborg Castle in the northern part of Copenhagen city centre. The Hop-on, Hop-off Bus Tour has a stop to allow you to visit both.